Apologies for the delay in posting about the February Carmine box*, it was stuck at the Royal Mail sorting office and i have only just managed to pick it up! I do really love this months Carmine box and i must admit i did have a cheeky look at a few blog posts before i collected mine! What i love about Carmine is that the products dont differ from box to box, the colour variations do yes but everyone receives the same products. 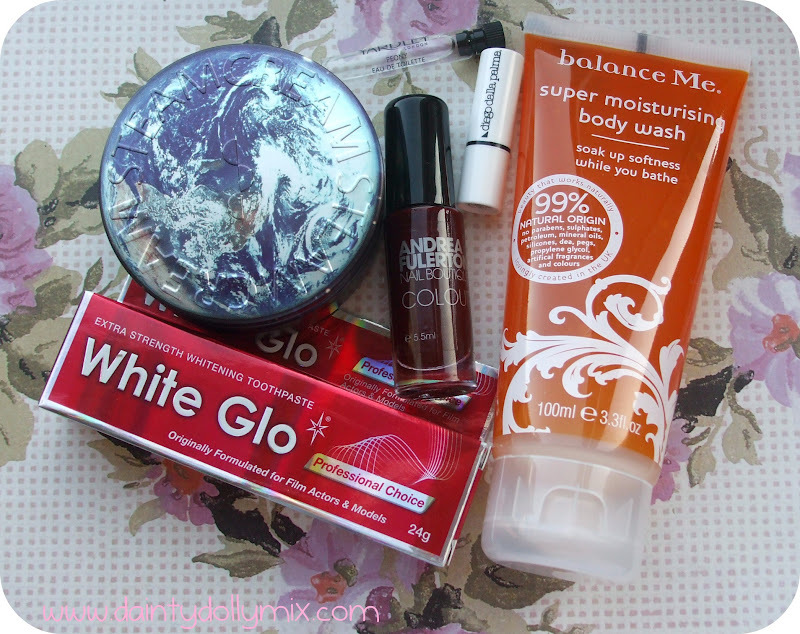 Unlike other beauty box companies who send out different products at random. 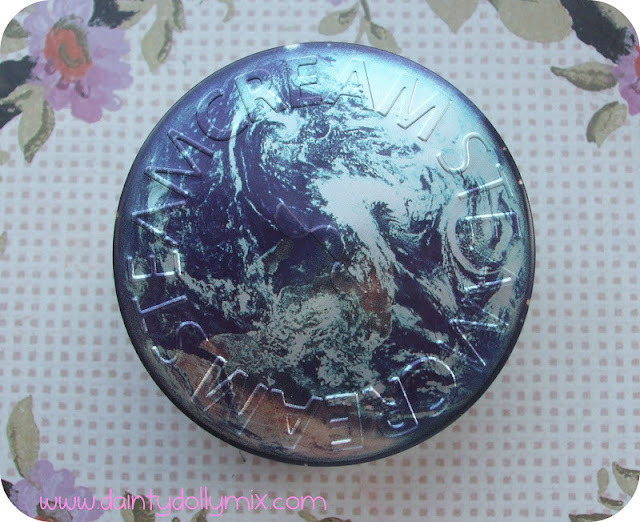 This month, Carmine actually boasts 3 full size products which i think is absolutely outstanding for a monthly sample beauty box that offers 5 deluxe samples for £10 per month plus shipping. First of the three full size products in this months box is nail varnish developed by celebrity nail technician Andrea Fulerton. I received this deep red shade in 'Naomi'. Not a shade i would particularly use myself so may pop it to my Mum. This retails for £4.99. I know a lot of people arent keen on fragrance samples in beauty boxes but this is actually a bonus and the 6th product in the box! Always nice to have as a bonus, this fragrance smellsof the delicate peony flower and is fruity with a warm amber undertone. Diego Dalla Palma is a brand that i have never heard of but apparently one of Italy's top brands. 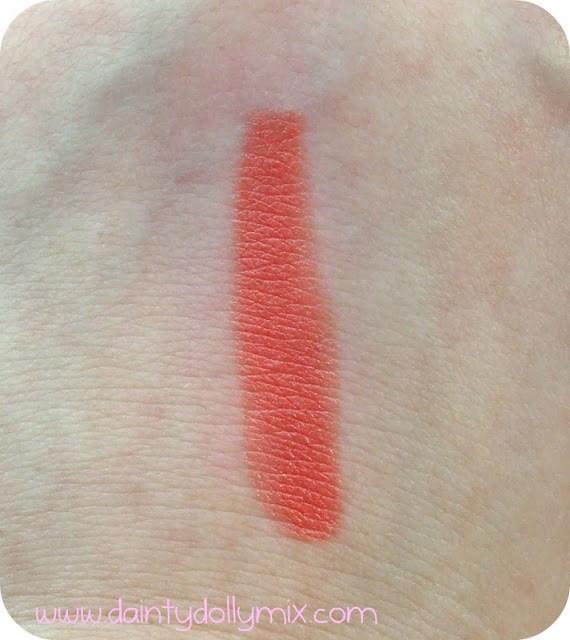 I received a small lipstick sample in 'il rossetto' number 32, which is a coral-orange shade, similar to MAC Costa Chic without the frostiness. 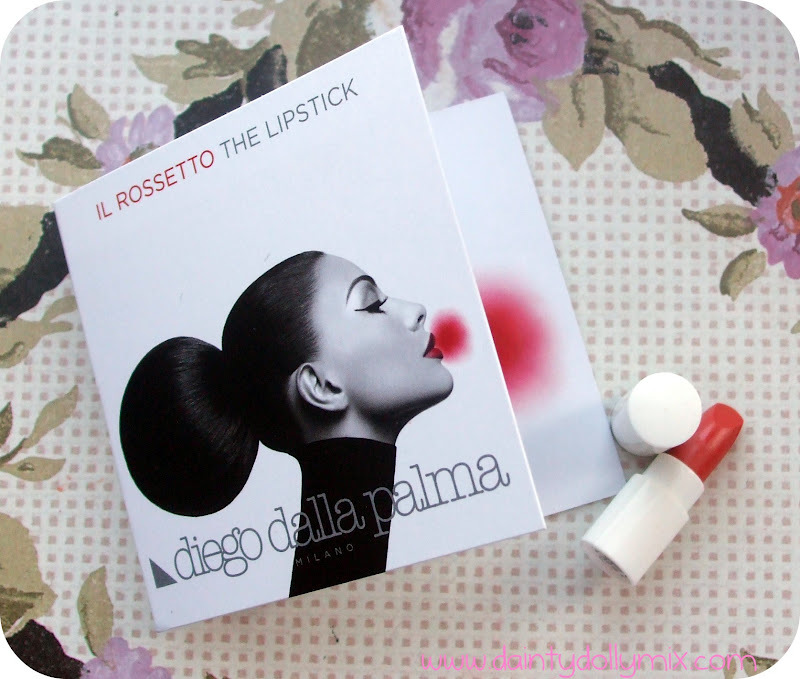 They feel lovely and creamy on the lips, opaque in one coat and dont feel drying. 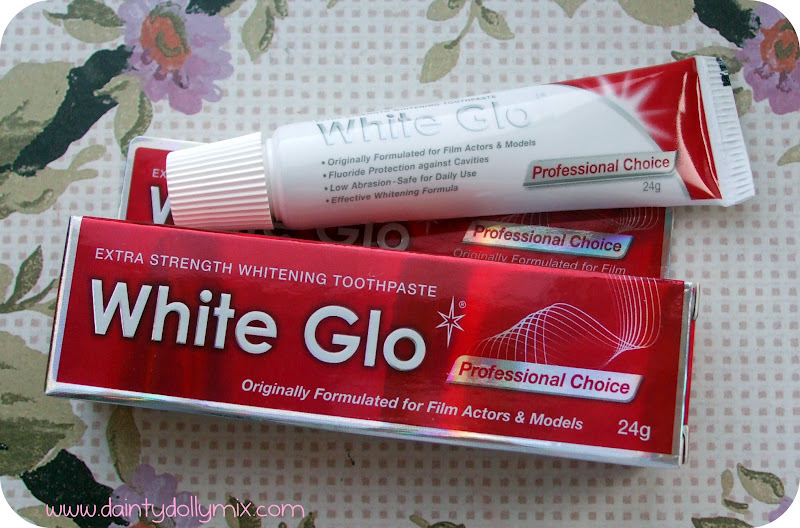 Their products can be bought in select Tesco stores. Full size retails for £14.00. 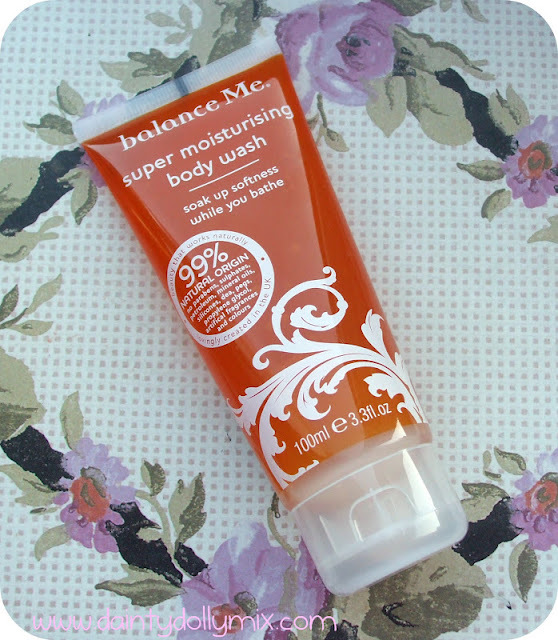 Another full size product, this time in the form of the balance me super moisturising body wash. A fail safe product that most people will like and use. It is full size 100ml and contains 99% natural origin products and retails for £8.00. It is available to buy from here. 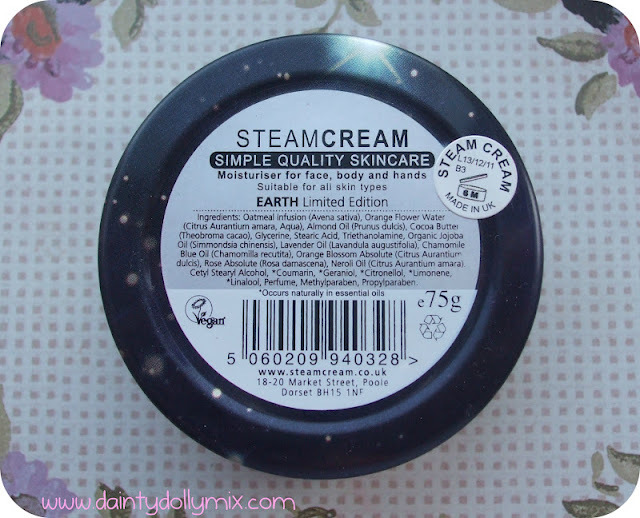 I have heard a lot about steamcream recently on blogs and love the limited edition tins! I got the earth tin which is absolutely amazing to look at! This is the 3rd full size product in the box and worth £12.95 - The price paid for the box including shipping. It is available from House Of Fraser in different variations. Ive personally never heard of white glo before but always willing to try toothpastes that claim to whiten. This says it was originally formulated for film actors & models. Its a small, handy size tube perfect for travel/nights away so i will be saving this for when i go away for the weekend at the end of the month. A full size 100ml tube retails for £4.07 and can be bought in boots. Overall, I am a big fan of this months box. The products value is around £30 so treble the monthly cost of the box. It has a good mix of nails, skin care and bath products with 3 out of the 5 products full size and a bonus fragrance sample! Most products i will get full use out of and even though the nail polish isnt my colour im sure whoever i pass it on to will love it! You can sign up to Carmine here for £10 per month plus £2.75 postage. Did you receive this months box? 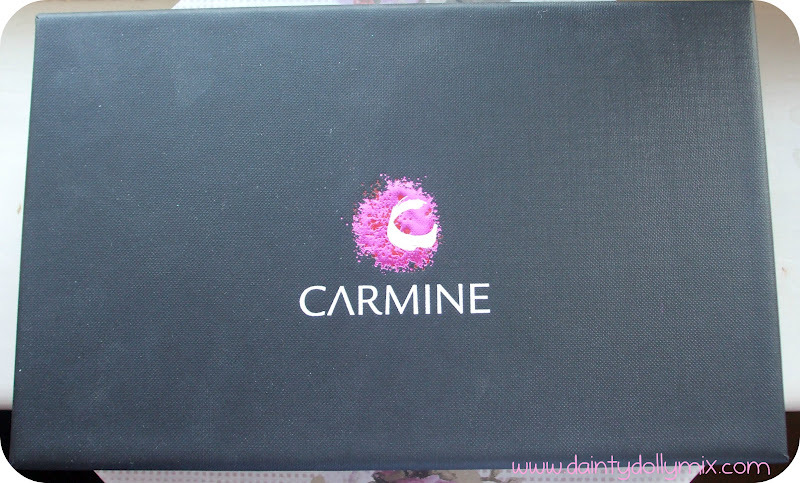 Carmine box gives really decent full sized products compared to glossybox! but love all them both equally! love the lipstick shade, perfect for summer! wish i got this box!! what i got was a mix of all the older boxes (think it was because this was my first one) hopefully i will get the same as everyone else in future! !